I’ll be writing more posts about this trip to Spain, but I’m putting this one up first, because I got the most pictures here. This was Tuesday, August 12, my last full day in Spain and the day on my own in Valencia. I had considered going to the cathedral, or taking the bus to the beach and saying hello to the Mediteranean Sea. But I had seen several cathedrals and museums, and decided that a walk to the river and a stroll around the was the right thing to do. 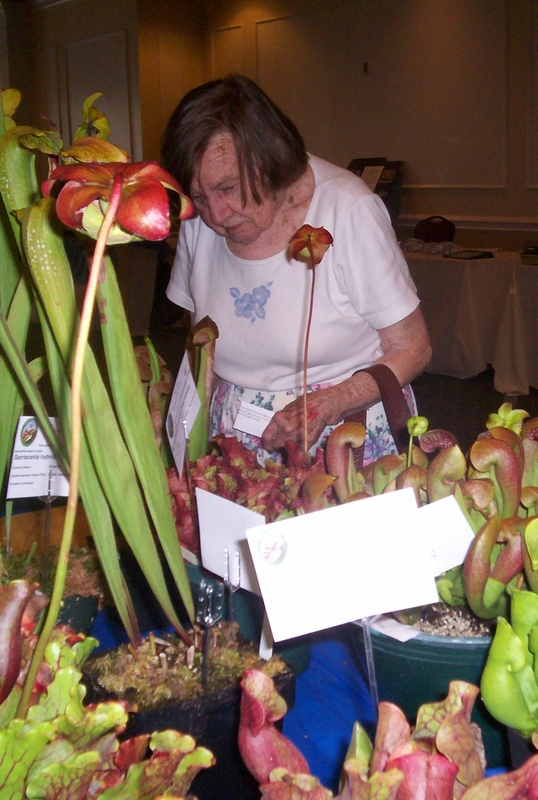 My mother, in the last year of her life, at an exhibition of carnivorous plants. It was unexpectedly sad — my mother, who died last year, would have really loved it. It was the best cactus collection I've ever seen, and she loved cactuses. There was also a very nice greenhouse, which reminded me of the one at Kew Gardens which I spent a lot of time in with her in 1984.